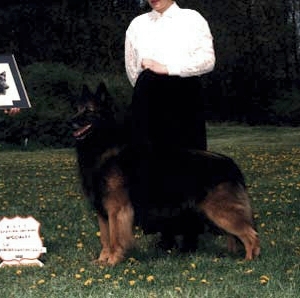 Charisme is a Canadian multiple Group Placer, Best Puppy in Show winner, multiple Best in Specialty Show winner and a multiple High in Trial obedience dog. 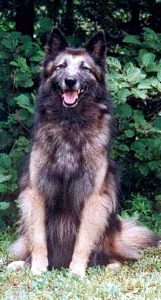 Charisme has, well, charisma. 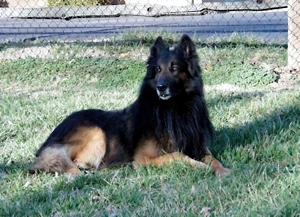 He has a delightfully fun personality and impeccable manners. 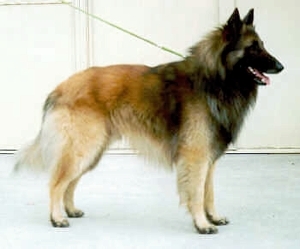 He is a short-backed, short-coupled dog with good bone and excellent structure in both front and rear. 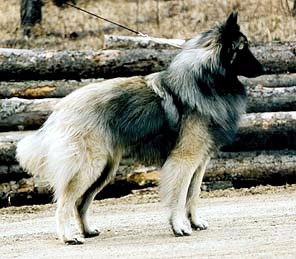 He looks good moving from any angle. 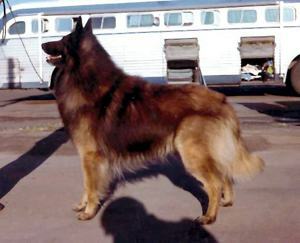 His head planes are outstanding. 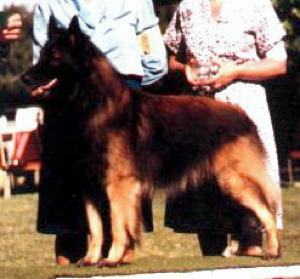 Charisme lives in Canada, where all of his titles were earned. 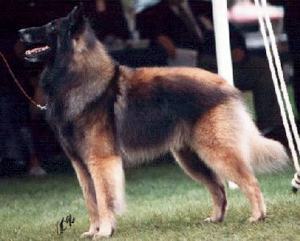 He was BISS at the Canadian National Specialty in 2001, and has two High in Trials en route to his CD. 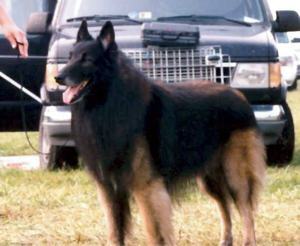 Charisme has only been on sheep twice due to limited opportunity, but his testers decreed him quite talented. 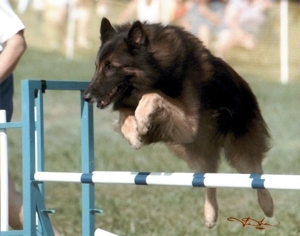 Charisme's family is deep in agility talent and no slouch at obedience either. 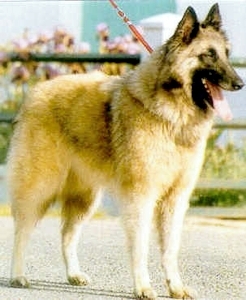 * Charisme is registered in the United States as Nicha Question Of Charisme with AKC registration number DN037148/01. 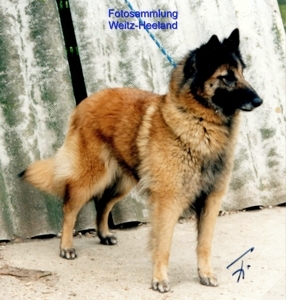 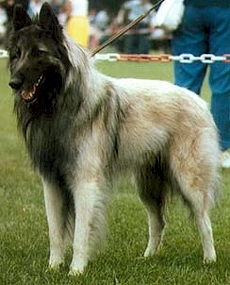 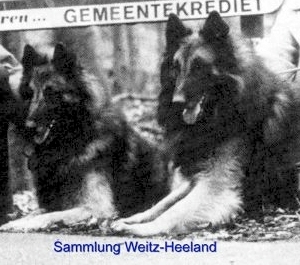 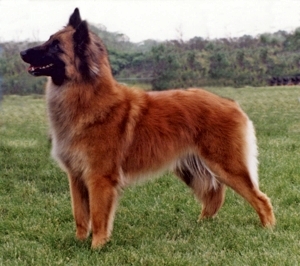 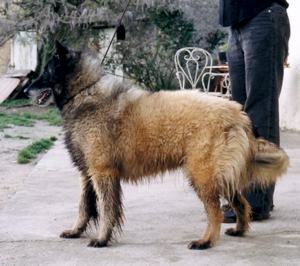 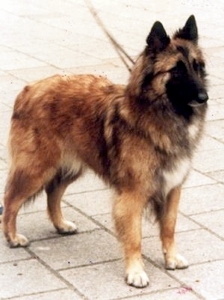 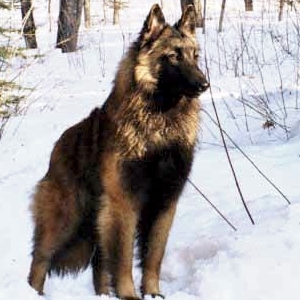 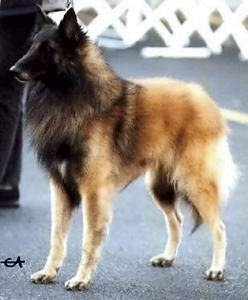 Charisme was owned bred by Michèle Gauvin, DVM of Rimouski, Québec. 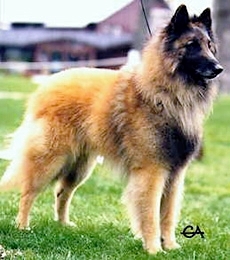 You can view Michèle's web site at http://www.elevagenicha.com/. 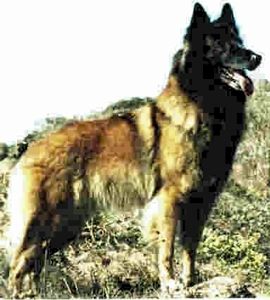 Tango is moderate in structure and type. 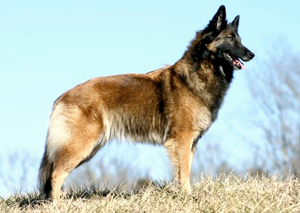 She has an exceptionally nice shoulder and neck, a good rear, and lively, ground-covering movement from any angle. 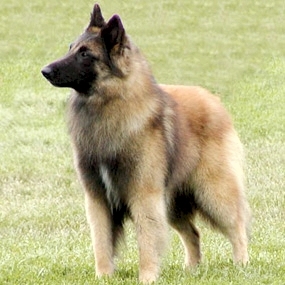 She is bold and sociable, with outstanding drive, work ethic, and the ability to perform under pressure. 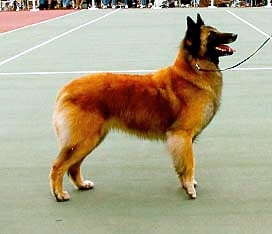 Judges and spectators alike comment on her happy attitude and busy wagging tail in the obedience rings. 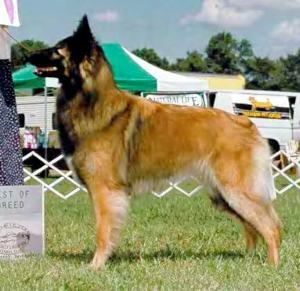 Achieving the CH-UDT is a feat for any dog, but Tango did it before her fourth birthday with two Front and Finish Excellence Gold awards, two First and Foremost rankings, and class placements (mostly blue), for every leg except her very first time out in Novice. 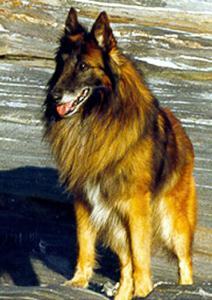 Tango's HCTs was achieved with no training other than occasional clinics. 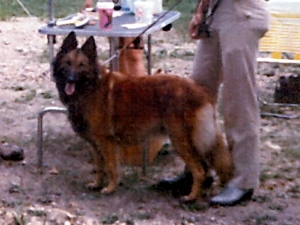 Tango is owned by Kimberly A. Cassida and Joseph J. Paling of Mason, Michigan. 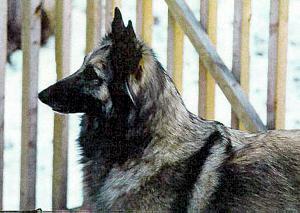 She was bred by Janice L. George, DVM MS and Linda Ann (Casper) Sayre, DVM and Kristina F. Pattison, MS.